A Nashville man is recovering from a dog attack in his own front yard that sent him to the hospital. 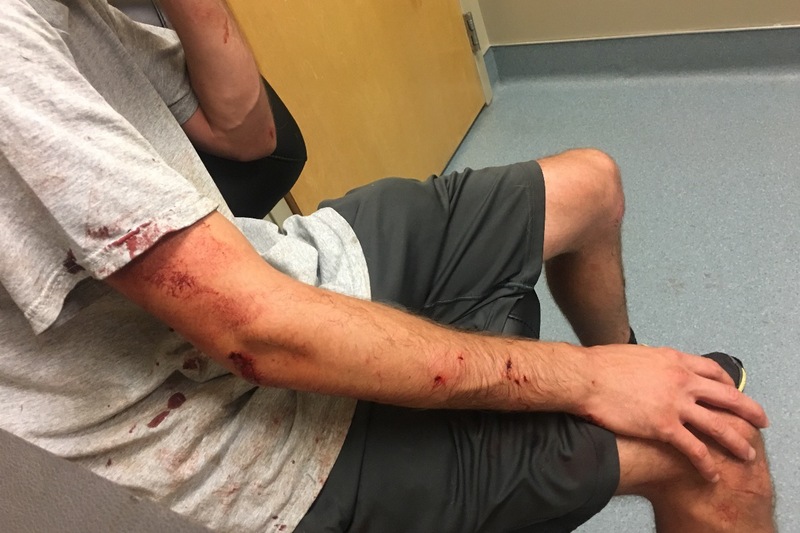 Cory Edmondson had just finished walking his 2-year-old German Shepard, Alpha, when a free-roaming dog approached them near Cory's front steps. "Before I knew it, he was attacking my dog," Edmondson said. "I tried to pry his mouth open, I even started kicking him a few times, but he wouldn’t let go." A neighbor heard the attack and ran outside to help. Together, the two were able to pull the aggressive dog off Alpha. "I felt helpless, just powerless," Edmondson said. "Just looking at him I knew he would need medical attention." Alpha was taken to the vet, where he is still receiving treatment. Edmondson also needed treatment at an emergency room and will need to return for continued rounds of Rabies shots. 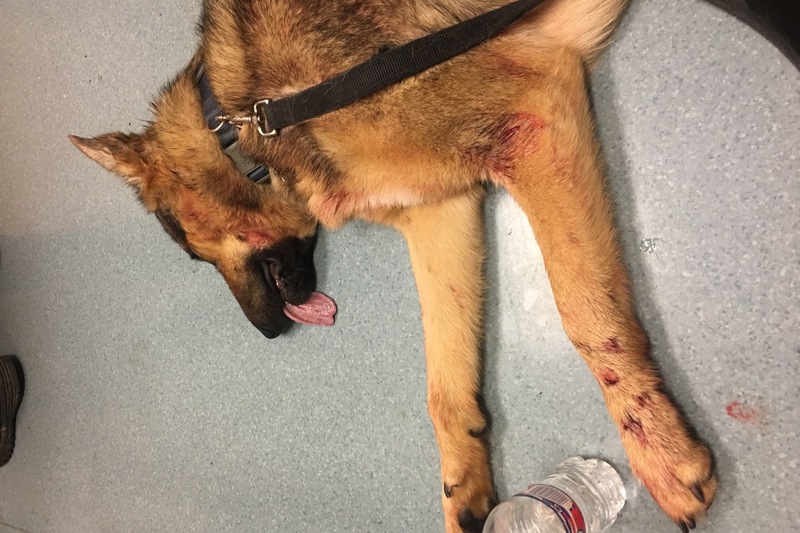 The attack happened Thursday, and since then, Metro Animal Care and Control were able to find the attacking dog's owner. A complaint has been filed and court date set, but it'll ultimately be up to a judge if any action is taken. It could take more than a month to complete the process. "We’re responsible dog owners, we don’t ever let our dog off the tether or off the leash," Edmondson's sister, Leah Jones, said. "I just wish everyone else was too, because I don’t want to see this happen to anyone else." 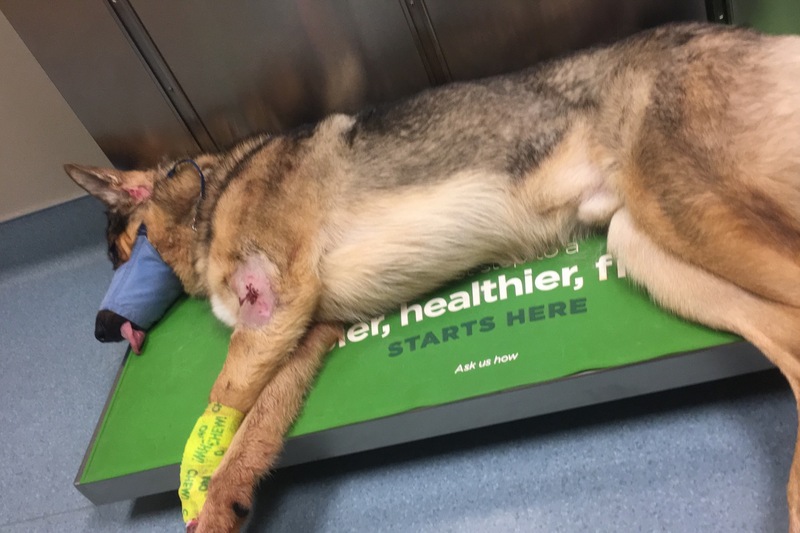 Metro Animal Care and Control responded to 8,500 calls for stray animals in 2017, including the attack involving Edmondson. It is against city code to allow animals to run off-leash inside city limits. Edmondson is now facing hundreds of dollars in medical and veterinary bills. His family has launched a Go Fund Me to help cover those costs. It's really sad to see a young, strong dog incapacitated like that. I'm sick of nutters treating their maulers like regular dogs. Letting pit bulls run free is dangerous for every living thing out there. It's one thing if a dog gets out and the owner is right behind trying catch it. It's another when an irresponsible pit bull owner decides that Lucifer can run free because, "It's all in how you raise them."